This flame-resistant crepe paper is great for decorating and craft uses. 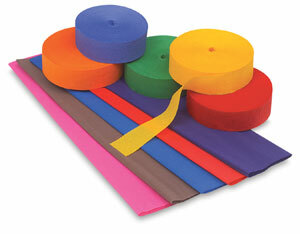 Brilliant colors in streamers and folds. 20" wide × 7-1/2 ft long.